The Jere A. Chase Ocean Engineering Laboratory's engineering tank is available to school and community groups who wish to use it for underwater robotics testing. The tank is used every year by the UNH Department of Engineering's Tech Camp. This summer camp provides middle and high school students with the opportunity to do hands-on projects and learn from professionals in the fields of science, technology, engineering, and mathematics (STEM). Seacoast middle schools such as the Dover Middle School, the Oyster River Middle School, and the Barrington Middle School have also used the engineering tank to test underwater ROVs (Remotely Operated Vehicles) created as part of the SeaPerch Challenge. SeaPerch is an underwater robotics program that trains teachers and students to design and build underwater ROVs from kits, then test and launch the vehicles in a pool. Vehicles must perform tasks in the pool that test the performance and design of the vehicles. 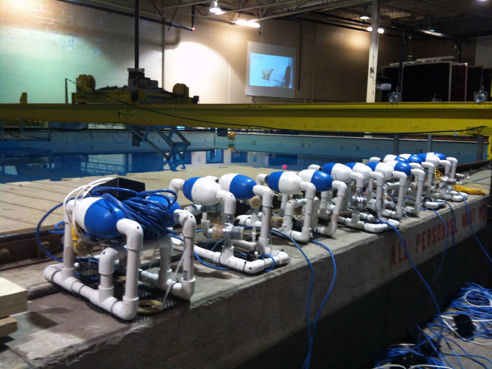 An obstacle course is then set up in the deep tank for the ROVs to drive through, and often other tasks are performed by the ROVs in simulated real world situations. Recently, schools have used ROVs to simulate capping underwater wells that are leaking. 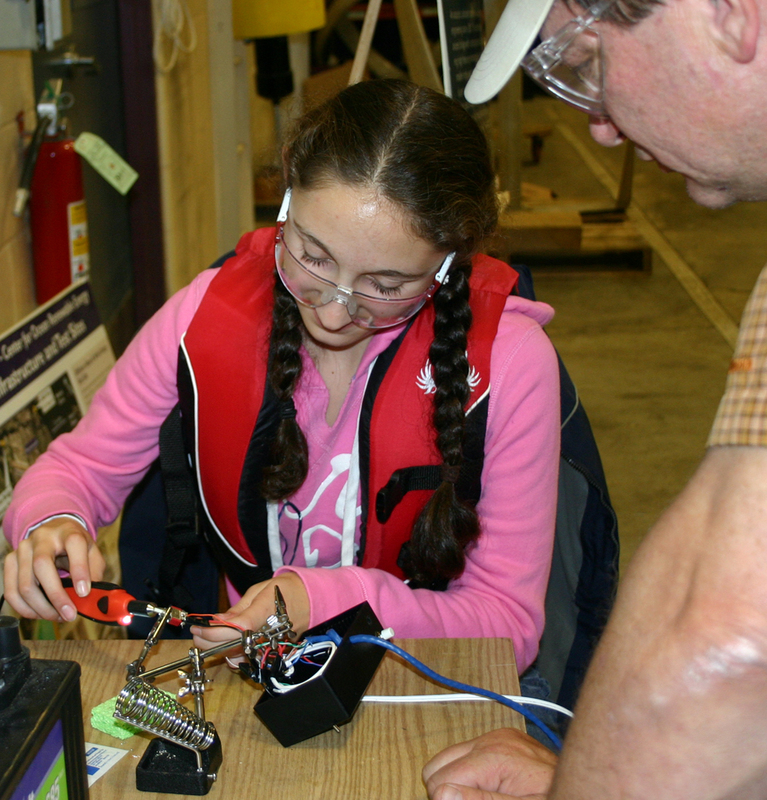 Locally, the SeaPerch program is spearheaded by Rick Cecchetti at the Portsmouth Naval Shipyard as part of the National Naval Responsibility for Naval Engineering. The goal of this effort is to find the next generation of naval architects, marine engineers, naval engineers, and ocean engineers. Other outreach opportunities such as demonstrations and tours of CCOM facilities are available for groups who come to use the tank.